Price including delivery and set up within a 10 mile radius of Ted's Rent it Center and on grass. Additional fees will apply if delivered outside of the delivery area, and/or set up is on a surface other than grass (asphalt, gravel etc.). Please call for special circumstance pricing. 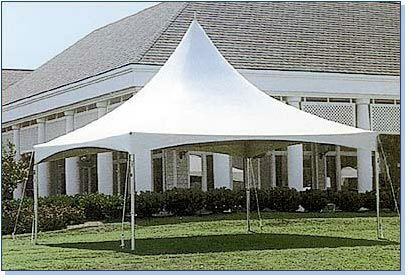 * Please call us for any questions on our canopy 20 foot x 20 foot sierra wh rentals in Hagerstown MD, Williamsport MD, Martinsburg WV, Waynesboro PA, Mercersburg PA metro areas.